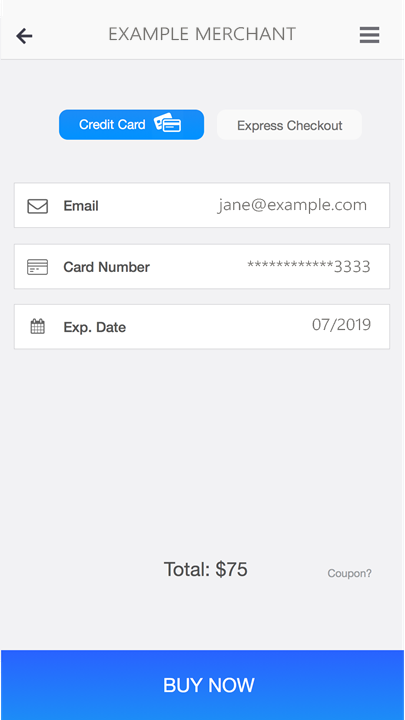 Whenever your saved shopper (in this example, Jane Smith) logs in to her account, you can easily retrieve her payment details by sending a Retrieve Vaulted Shopper request to the API, with Jane Smith's shopper ID included in the API call. For code samples, see Auth Capture or Auth Only. When Jane clicks "Buy Now", you can easily complete the purchase using her vaulted shopper ID. Simply send in the relevant transaction request, such as an Auth Capture, and include the vaulted shopper ID. If there are multiple credit cards saved to that vaulted shopper, make sure you include the relevant card's last four digits, and the card type.